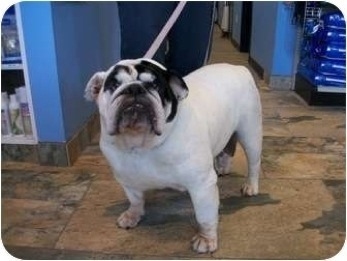 SCARLETT the bulldog needs a home! The Phoenix English Bulldog Meetup Group! CLICK HERE AND READ FIRST! WANNA HELP? Here is our WISH LIST! Are you looking for a bulldog puppy? Copyright 2012 Love A Bull Rescue, INC.
All photos are property of Love A Bull Rescue. Copying photos from this site without permission is prohibited and legal action will be taken.